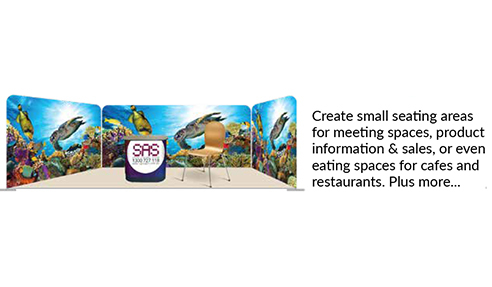 Easy Walls are a great, simple and versatile way to brand various expanses of space, from small to large, within a room or hall, without requiring permanent fixtures. 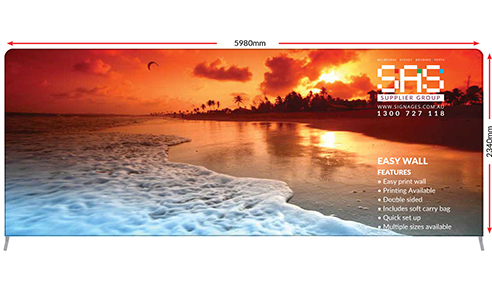 Providing large scale portability, with more visual real estate than standard banners, the Easy Wall is perfect for seminars, trade shows, sporting events, press conferences, panels, expos and other events where brand recognition is important. The Easy Wall can also be used in the smaller size to create branded and image-driven seating areas at cafes, restaurants and shop spaces. Different kits can be obtained, either on their own or paired together for the ability to create a multitude of display sizes within your space. 1 small kit plus 1 standard size kit will allow you to make both of those size walls or 2 of the small walls and stand them either portrait or landscape. 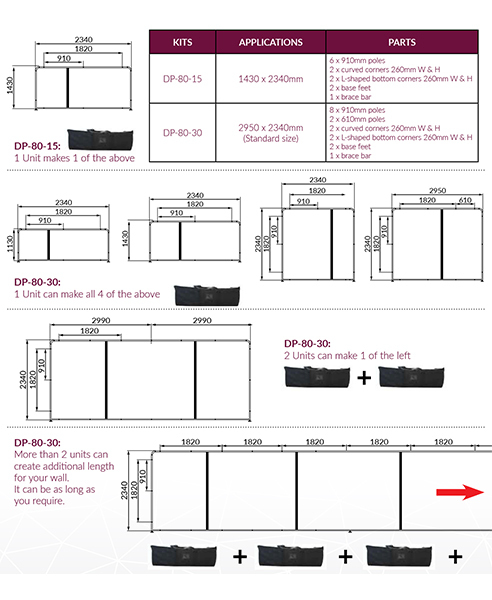 2 standard kits will allow you to make 2 standard walls or 1 large wall. You can also obtain additional kits and go even bigger. You can create multiple smalls and one big. Mix and match as desired. 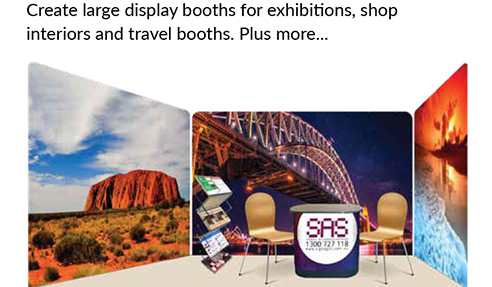 For more information, visit www.sassignage.com.au.